Upgraded version of multiplayer: I believe that it would be great, if it was possible to have several farms on one server simultaneously in FS 19. This means that multiple accounts should be possible, which would have distinguished equipment. The machinery: Players are annoyed by the low variety of vehicles in GT. Normally, the new type of vehicle should be included in the following releases. Of course, there can be exceptions but that’s the most common practice. That’s why I hope that FS 2019 will have all the previous models of cars – this will increase the variety. Challenges: Sometimes it feels that there are no obstacles in winning the game and that applies for the hard mode too. That is not more difficult but rather takes simply longer to achieve. Therefore, I would love, if LS 19 would introduce some risky situations, such as various machinery failures or troubles with crops. Hard weather conditions: It would be great to see any kind of weather changes in LS 2019. To sum up, I don’t think that the way how farming is organized is odd – having a chance to be employed by other farmers is beneficial and profitable as well as useful in applying more kinds of equipment. However, I would like Farming Simulator 2019 to be more entertaining. This could be achieved by implementing old machinery existence in the game. For example, various old equipment could stay at the farm or be thrown away somewhere in the forest or water and farmers can buy it and transport back to the farm to renew it. That would be exciting! What I can say about the family section, it would be useful, if they can do more tasks. As every child costs quite much especially while growing up, the idea of them being responsible of chickens or greenhouse could be very beneficial. Moreover, why not having a dog in FS 2019? Of course, it should be capable to go everywhere together with player and accompany him or her on the vehicle. I guess Farming Simulator 19 mods could add even more selections of this option. 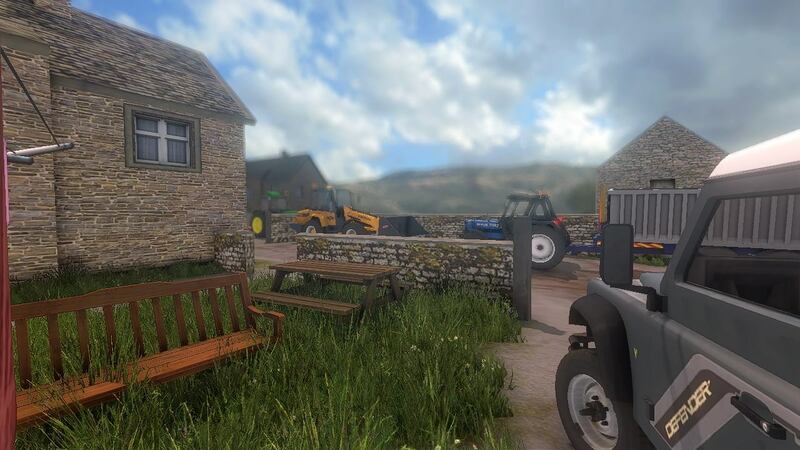 Finally, it would be amazing having a tractor which is capable of pulling other vehicles – this means that various levels of horse power should be available. Additionally, a player needs to customize various specifications, such as weights and air pressure. I wish it would look realistic enough! Once again, FS 19 mods could suggest some additional features. To be mentioned once again: there are plenty of ways to earn money already, so now it’s time to focus on some entertaining activities. It would be interesting to see a more developed worker path. For example, that it would be possible to choose between workers – some could be more skilled than others and that would result in completing tasks faster, such as plowing a field faster or in better quality. In my opinion, the ground responsiveness should be the thing for FS 19. In the latest version, this feature is being introduced at some point (some maps have this mud mod – maybe FS 2019 mods could continue on developing this functionality). Actually, no idea, if it’s a hard thing to implement but successful example could be Spintires although staying away from increasing the value that much. The option to place everything, such as your house, silo or animals should be implemented together with the feature to chance ground, pavement or gravel while switching between seeds. I would enjoy being able to go to other players servers and checking how they are farming in Farming Simulator 2019. Another thing to be added is the function to adjust the growing period and skip/sleep feature such as skyrim. Improvements for AI are also expected: characters should be able to do the various shapes of fields individually without the supervision and failures. But all in all, I am still a fan of FS17 – yet can’t stop growing expectations for the new version. If FS 2019 comes on Linux version, I would be extremely happy to give up on Windows and their messed-up updates! I have noticed that steam is working perfectly on Ubuntu for other games and increasing number of them are being released on Linux platform. I am wishing for the day when Linux replaces Windows as the default gaming Desktop Platform. Windows are becoming too complicated lately and it loses my preferences in quite a speedy pace. It’s impossible to cope with updates – it is becoming crappy OS. Therefore, the company should think about the possible options for LS 2019 because Windows can wring players to the corner by pushing them to move to the cloud. It is not a bad decision in general, but forcing user to do that is simply unforgiveable. Therefore, once again I am begging to think about the Linux version of Farming Simulator 2019. The other thing which I would enjoy is being able to choose where to place your barn and develop them during the game. For instance, I prefer that livestock is in a close distance while others have it spread in various locations – that should be something a player can choose in FS 2019. I am not a fan of implementing survival game specifics because I find more interesting expanding the available farming activities. The range of plants is definitely quite narrow – it would be great to expand it and add some new options. Additionally, there can be even higher number of various suggestions for new plants/crops and equipment designed especially for them, such as introducing herbs, wider range of vegetables as well as nut, fruits, orchards or even rice. Talking about the existing situation with animals, there is a space for improving too because it is quite monotonous. There is not much to do despite feeding them and they are profitable already. I wish my ideas will turn out to become reality in FS 2019!